Much of the first days of school is spent learning routines and procedures for how to make the classroom run smoothly, and learning how to be a good learner is part of that. 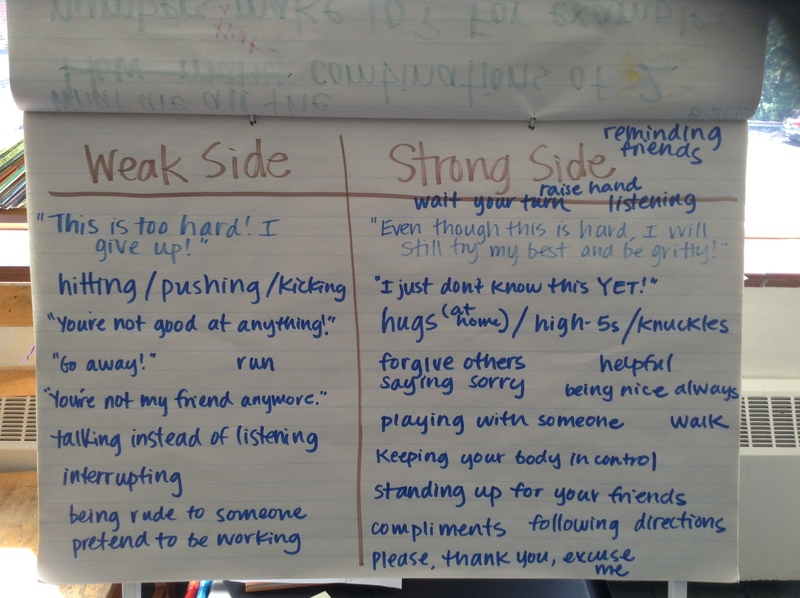 In second grade, we use the idea of weak side/strong side to illustrate how kids can (and should) make good choices that benefit both themselves and their classmates. As with many lessons, we began with a book. 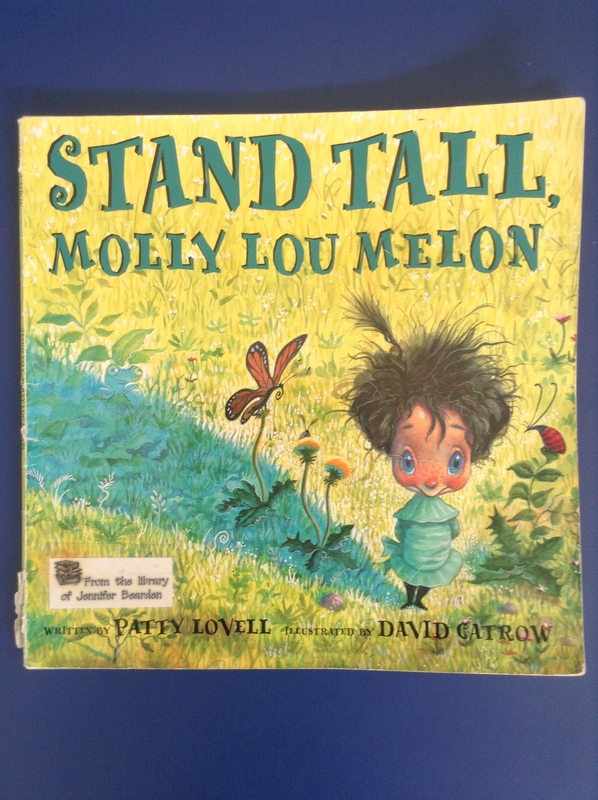 We read Stand Tall, Molly Lou Melon. I explained the idea of weak side/strong side by talking about how everyone has two voices in their head. You know, that one that encourages you to do your best, think happy thoughts, follow the rules–the shoulder angel. There’s also that other one that whispers and tells you how great of an idea it is to pinch your sister or blow bubbles in your milk or slide down the banister on the stairs–the shoulder devil. It’s definitely sinking in, too, because I am hearing kids use the language of their chart when they speak to each other. 🙂 We’re by no means working perfectly all the time, but we’re on our way!